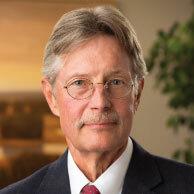 John Chindlund practices labor law, representing employers in all issues pertaining to the employer-employee relationship. He handles matters involving the National Labor Relations Board, the Equal Employment Opportunity Commission, the United States Department of Labor, Occupational Safety and Health Administration and the Utah Anti-Discrimination and Labor division. Mr. Chindlund also defends employers against state causes of action arising out of the employer-employee relationship, including wrongful termination actions, intentional tort claims, worker’s compensation and unemployment claims. Helping employers negotiate collective bargaining agreements and arbitrate grievances under such agreements is another area in which he has wide experience.